Ms. Pelosi won't endorse a new, lower level of political conflict. But she can blame Trump. In fact, she does. Again. 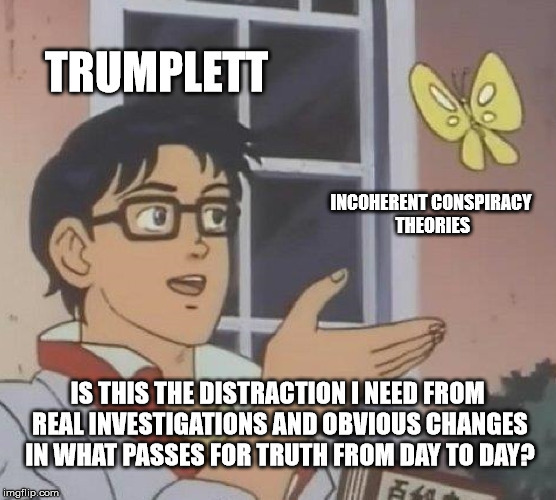 As a Libertarian I am not a blind Trump fan. 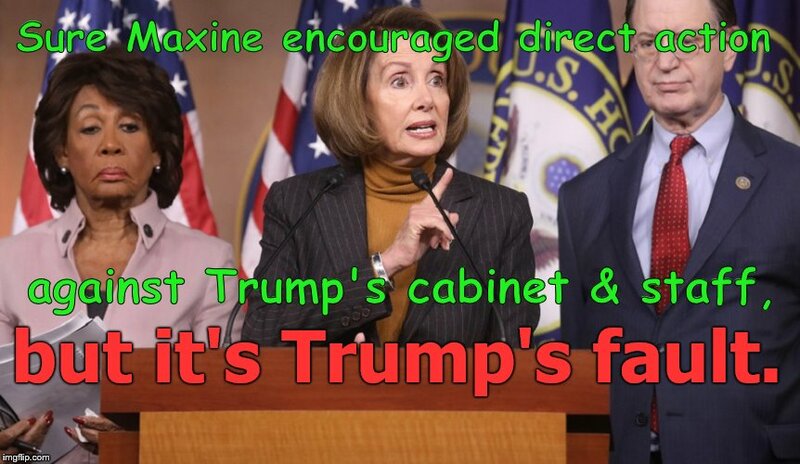 But I find it amusing that Nancy and company will close ranks with Maxine W. even as she seems to found in the deep water of "ends justify means." As a distraction, the news cycle ran past this story in about two days. Sure Maxine encouraged direct action; against Trump's cabinet & staff, but it's Trump's fault.